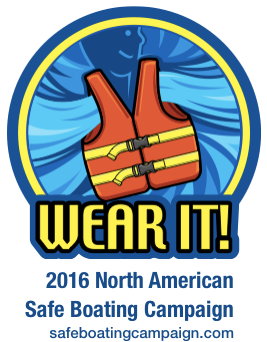 May 21-27: Celebrate National Safe Boating Week! Boats are in the water and the summer is already off to a gorgeous start! We're planning on a great season, and one sure-fire way to make that happen is to keep everyone safe. U.S. Coast Guard statistics show that drowning was the reported cause of death in three-fourths of recreational boating fatalities in 2015, and that 85% of those who drowned were not wearing life jackets. The National Safe Boating Council and the National Weather Service have teamed up to promote safe boating practices, and are helping boaters across the country kick off the season with National Safe Boating Week! Even if you've been through them a thousand times, take time to review the safety items you keep on board. Are your lifejackets up to snuff? Have you been tapping your fire extinguisher to keep it "fresh"? (Hint: Don't do that.) Now's the time to update your gear before a summer in full-swing pushes this important task out of mind. What are you missing? Check out Discover Boating's Pre-Departure Checklist, which comes complete with a downloadable version so you can print that sucker out, laminate it, and keep it on board. You can download even more guides – including one on choosing the right life jacket – from the Safe Boating Council. Have a furry first mate? Make sure your pets have the gear and care they need: a snug-but-comfortable life vest, plenty of water, and shade. And whichever the species, have your rescue plan in place before you leave the dock in case a pet (or human) falls in without warning. Some boaters shun the idea of technology interfering with time on the water, which is understandable. But we all know a good resource when we see it, and having safety checklists, reminders, and alerts in the palm of your hand is an absolute advantage. Launched last summer, the U.S. Coast Guard app can help you check your safety systems, file a float plan, and more. We also like the NOAA Hi-Def Radar Pro app for its detailed storm visualizations, storm alerts, and hurricane tracking. For our BoatUS members, when you call for a assistance using the official BoatUS app, your coordinates, boat size, and other crucial information is sent to their teams, which will help keep communication crystal clear. The National Safe Boating Council has challenged boaters to beat last year's record of 10,917 participants, and will be providing updates throughout the week on Twitter and Facebook – so get geared up and post your photos! It always helps to keep your knowledge recent. Luckily there are many online courses for you to choose from when it comes to boating safety, and they won't cost you an arm and a leg. BoatEd, the official provider of recreational safety education materials for all 50 states, offers boater safety courses and test online. The BoatUS Foundation offers cutting-edge courses on safety, including Hurricane Preparation and the newly-added How to Use GPS. Thus concludes our list of starting points for dusting off your boating safety for the season; hopefully we've provided enough links to resources so you can take the research from here! Which tip is your favorite? Do you have a safe boating cautionary tale to share? 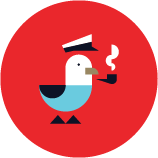 Let us know - email becky@dockwa.com or chime in on Facebook.